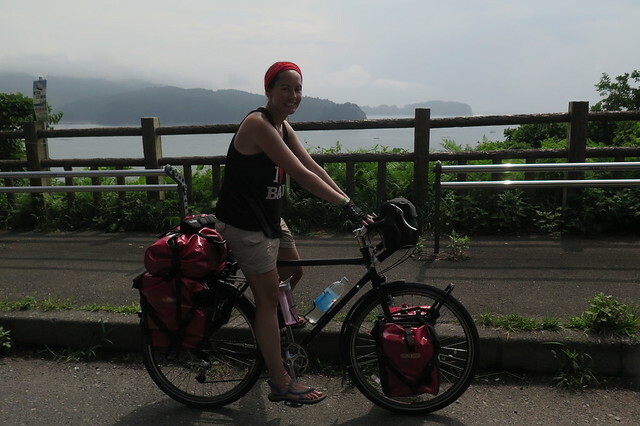 Heading out of Yamada, the ups and downs continued. On the plus side, it did feel like the landscape was starting to mellow a bit. The climbs weren’t quite as steep and the passes not so high. 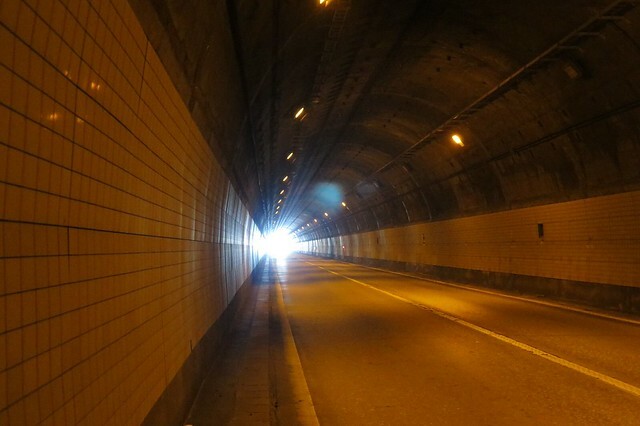 There were also more tunnels which cut out a lot of the hills. Even though they were often long and a bit scary at times, they were a welcome relief both from the uphills and the sun. The one big climb of the day came after lunch, and it was a big one. I definitely struggled in the afternoon sun and was lagging well behind Clare as she powered on ahead. Reaching the pass, we did at least have a nice long downhill which earned us a good number of kilometres into the city of Ofunato. We opted to camp somewhere in the city rather than continue over another pass. Dinner was pizza and a couple of beers next to the harbour at a small restaurant in a group of prefab buildings. 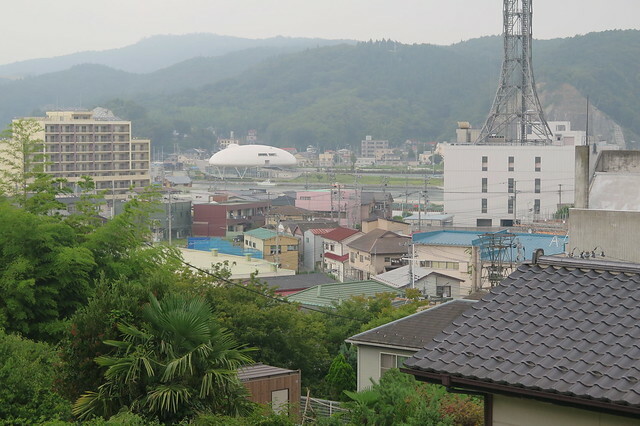 It seemed most of the area had been levelled by the tsunami but was slowly being regenerated. As is our style these days, we retired to bed early. We found a shrine at which we thought we might be able to pitch our tent, but no one was around to ask permission from. Eventually we settled on a small park in a quiet residential area which, apart from the mosquitos, gave us a good place to spend the night. Early to bed, early to rise, we were up and packing up by around 6 the next morning. A kind lady saw us from her house, so came to say hello and give us a couple of cans of coffee and some pickled veggies. Feeling genki (often used Japanese term, meaning healthy, energetic, happy etc) and with an early start, we made great time and progress through the morning. 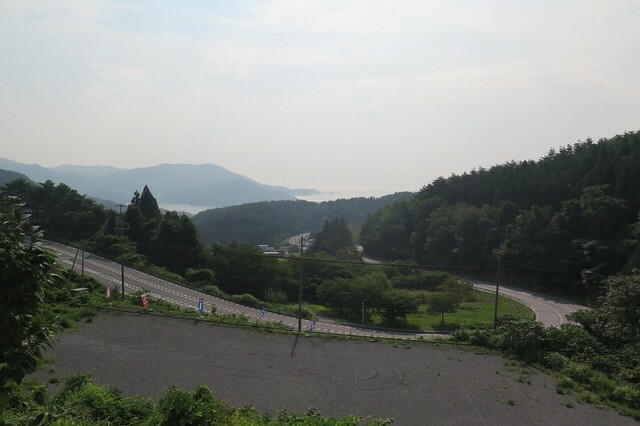 Into a new prefecture, Miyagi, we had done 30 km by our morning coffee break. By lunch time, we’d clocked up 75 km and were on for our longest day of the tour so far. 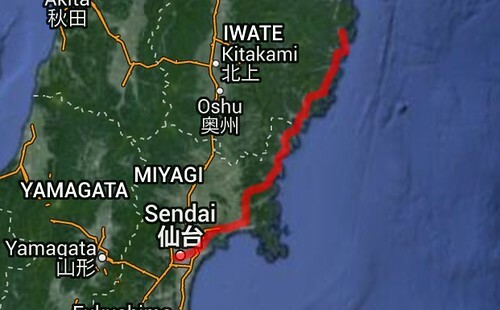 We spotted a michi no eki and onsen on the map near Ishinomaki, about 30km away, and aimed for that for the day’s target. We were onto much flatter ground and our cruising speed had increased dramatically so reached our goal by about 3 o’clock. 107 km for the day. The onsen was heavenly after a couple of hot sweaty days so we took our time and then enjoyed the essential post-soak ice cream. 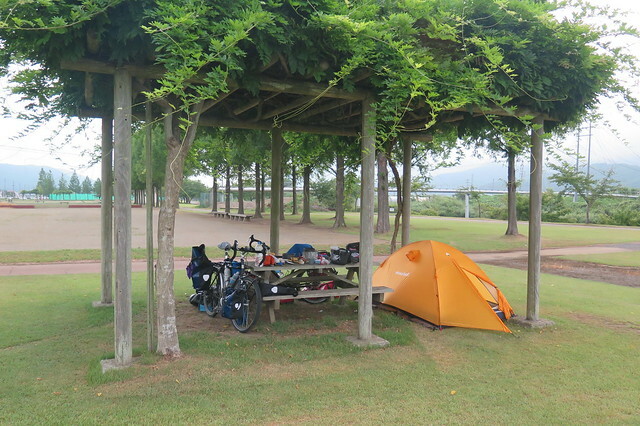 Just opposite, we found a perfectly manicured park where we cooked our dinner and pitched our tent for the night. Day 12 was a very easy one. We had arranged to meet with a friend, Dom, in Ishinomaki. 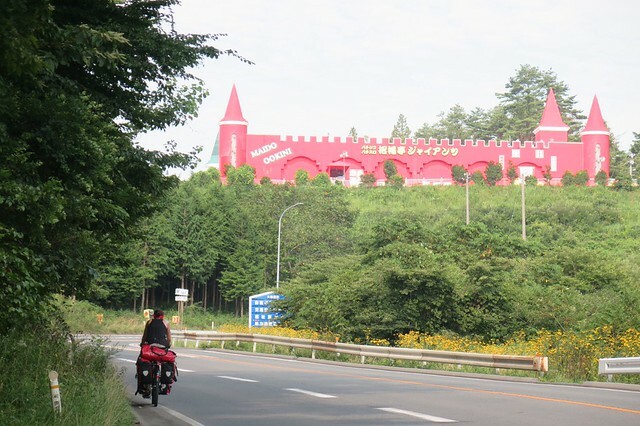 We met Dom last year when he was on his own trip, by motorcycle, from Worthing in England to Japan – Little Dom’s Big Adventure. He made a series of really great video blogs over the course of his ride. Definitely worth checking out his YouTube channel. He stayed with us for a night in Hokkaido and we’ve kept in touch since. He’s now moved to Ishinomaki to teach English and kindly agreed to host us for the day and night in his palatial shared pad – the Somako House. We spend the afternoon relaxing, doing some washing and resting our legs. 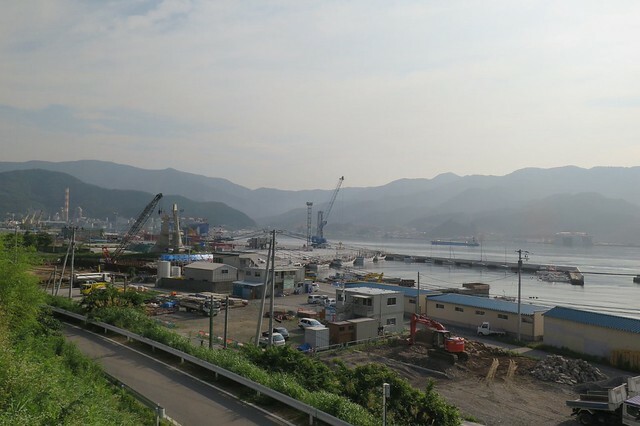 We had a quick explore of Ishinomaki, another city ravaged by the tsunami. 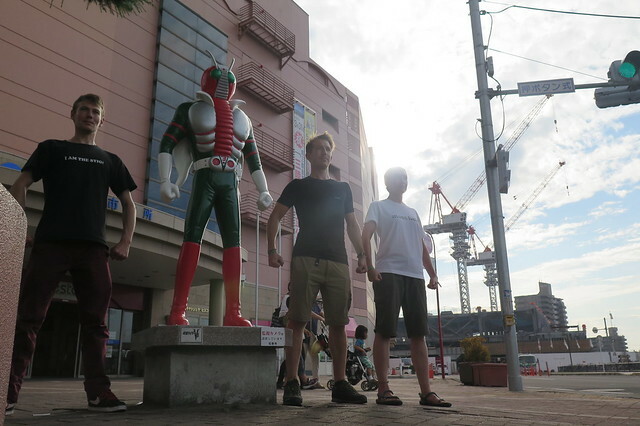 Around the city were dozens of statues of manga characters which looked to be popular attractions for visitors. So naturally we posed for a picture too. 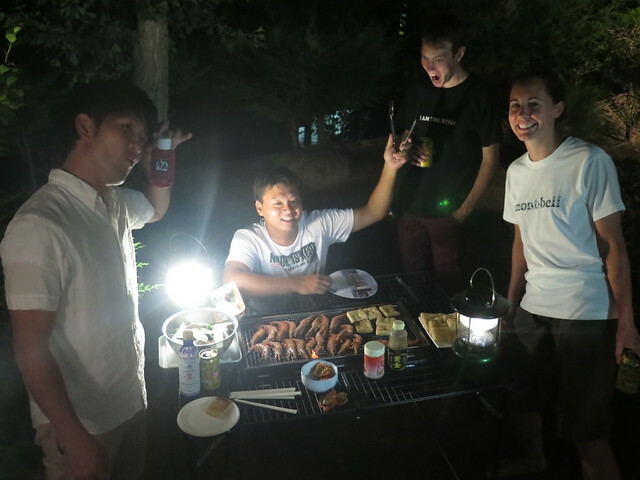 Dom and his housemates fired up a BBQ with fresh seafood which we enjoyed that evening over a few beers. The lie-in the following morning was also welcomed! 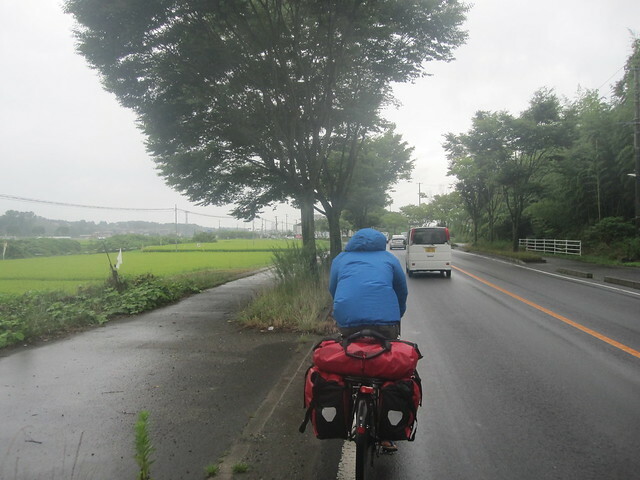 Leaving Ishinomaki on Thursday around midday, we rode out into pouring rain for the 50 or so km to Sendai. The rain was on and off for the entire afternoon but the wind was calm and we made quite good time. We followed our old friend Route 45 for most of the way and then switched to Route 8 for the last stretch into the city. 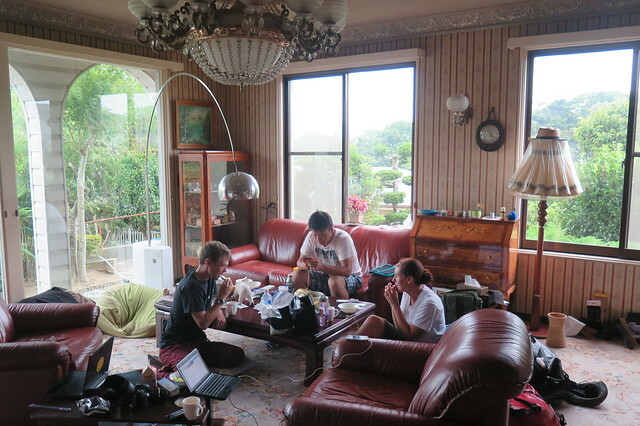 We had arranged to stay with a Warm Showers host, Yuta, who lives in a small apartment very close to the city centre. The traffic coming into Sendai was heavy but we negotiated the busy streets and found his place easily. He welcomed us warmly and showed us to an immaculate guest room. We chatted about cycling in general, and particularly the year he spent cycle touring from California down to Peru. 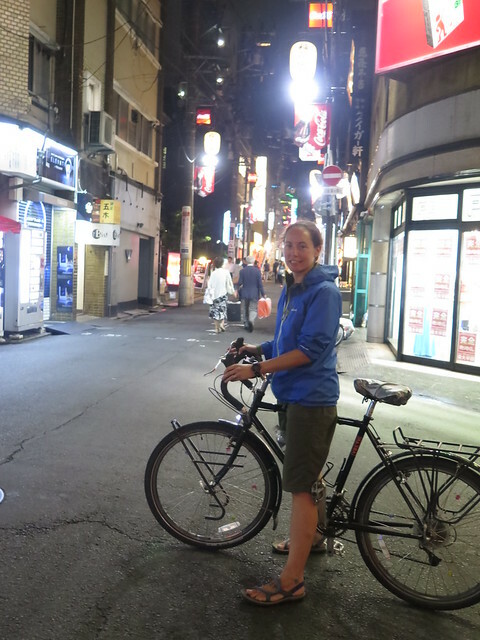 Leaving our panniers at his apartment, we jumped back on our bikes and went downtown for a quick look around and some dinner. We were stoked to find a soup curry restaurant. 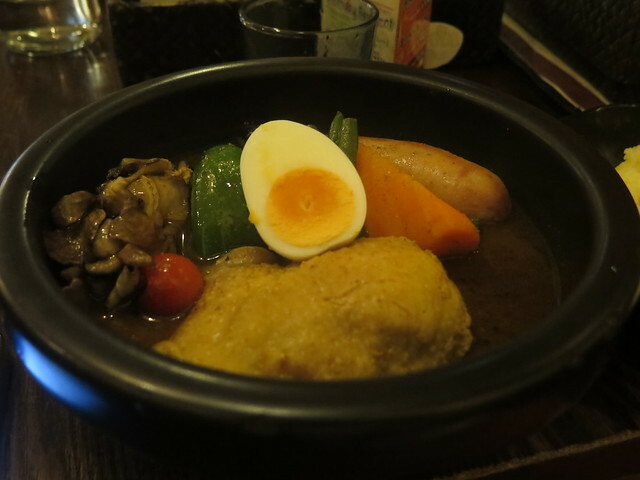 Soup curry is a Hokkaido speciality and probably our favourite food. It’s very rare to find it outside Hokkaido so it was a real treat! 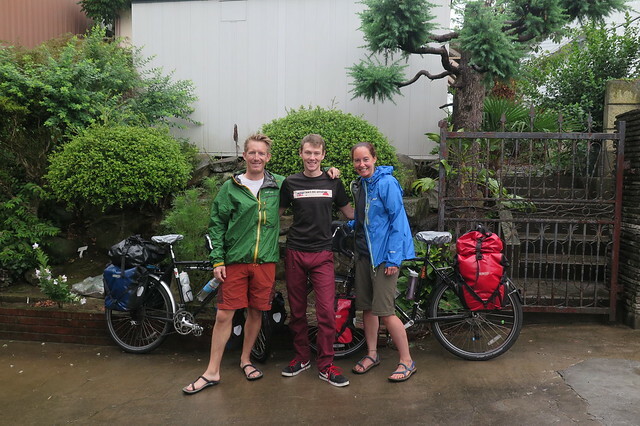 We rode back to Yuta’s to plan our route through Fukushima for the following week and then had an early night, hoping for better weather in the morning.